I remember the day when I had received my confirmation call for GD in one of the topmost management schools in India. I was glad to be one step closer to one of the best institutes in India but at the same time I was aware that from this point onwards smart planning and preparation would be the key to ensure my selection there. 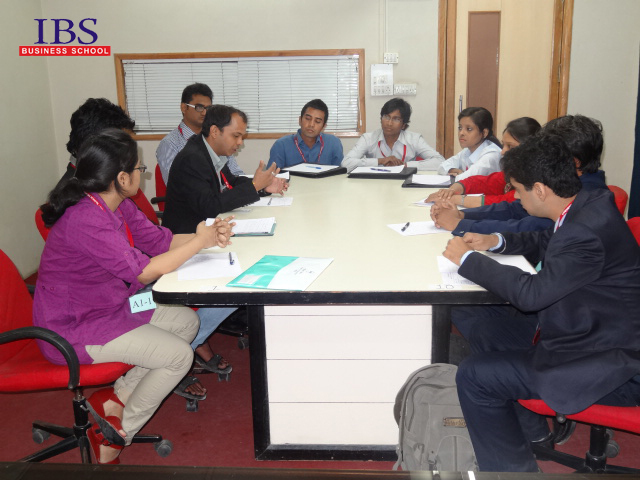 I realized that management institutes use group discussions as a tool to evaluate many candidates in one go. They gauge and select students with personality traits and skills in communications that are desirable in specific areas of management. With less than a month to go I had to prepare for GD and PI. I arrived at separate strategies to tackle my GD and PI. For my GD, below are the top three areas that I worked upon daily until my GD day. I used to read newspapers daily but for a GD just being aware was not enough. What mattered the most was how I structured my ideas and how well I present it for a discussion. I made it a habit to note down key points on important topics. If the topic was of controversial nature I always tried to note down two points in favor of the topic and two points against it. I decided to speak only in English for some days. Initially it felt a bit awkward but after a couple of days, I found myself to be much more fluent and confident than how I had started. Watching English news and movies also kept the momentum strong. Well, this was the most important area. I knew that I will be watched and then evaluated on how I walk into the room, how I take my seat, how I greet others, how I look at others, what I speak and more importantly how I speak. How was I supposed to find out how I look while I do all these things? So I practiced in front of the mirror till I was comfortable. Later on, I came to know that even great public speakers have used the mirror to get better with their skill! We were called in groups of ten. There were two panelists inside the room. I looked at all the panelists and wished them as I entered. We were made to sit in a semi circular arrangement. We were being observed all the time. Because the group was strong I was not getting an opportunity to pitch in. So while a candidate was making her point and was taking a pause, I pitched in. I started by agreeing to the point made by my previous candidate and then added by providing two current examples in marketing where the color was being used to target a specific audience in the market. Then the discussion went on to touch multiple topics like commercialization, gentleness, female consumers, ‘Pink Floyd’ and so on. The panelists then asked one of the candidates to conclude the discussion. Overall the quality of discussion was very good. Six candidates from our group including me were shortlisted for the interview. My strategy for GD worked for me! And contrary to the popular thinking, a good group discussion need not be aggressive always! I had cracked my GD and was sitting outside the interview room waiting for my turn to come. I was overwhelmed, with feelings ranging from anticipation, nervousness, confusion and confidence. I controlled my feelings and took a deep breath as I entered the room. There were two people in the panel; an elderly lady and middle aged professor. We greeted each other and with permission I took my seat. I took a pause and then told about my background (details about my educational background, my favorite engineering subject, work experience and hobbies). I made sure that I took some time to explain my job role in details. I knew that I had to engage the interviewers in the area of my interest (work experience) so that they start asking me questions around it. Storytelling helped. In the next few minutes the interviewers asked me different questions around my work experience- business processes in my work area, latest company news and the things which I liked the most in my work. I was prepared for such questions and I made sure that I answered them in a structured manner and backed it with real time data. This question took me off-guard, but I slowly collected my thoughts and replied, “Our Company, as a policy, encourages its employees to pursue higher studies. Hence, the question of my boss or supervisor getting upset over my resignation will not arise. On the contrary, I am very sure that my manager will be very supportive of my decision. Also, as alumni, I will always have the option of re-applying for any open positions in our company in the future. After my higher studies, if there are any job roles that fit my qualifications and aspiration, then I will certainly remain open to exploring that option”. My answer went down well with the interviewers and they did not probe into that area further. The panel took notice of the fact, that I was a Mechanical Engineer and they asked me some basic fundamental questions from Thermodynamics. I was able to answer most of them. For the ones that I could not answer, I preferred not to guess and to be honest with them. I told them, that I could not recollect the answers at the moment. Here, I would like to mention that while answering the introductory question (“Tell me something about yourself?”), I made sure that I mentioned about my favorite subject as I was prepared for it. So being specific helps the Interviewers to understand your areas of interest. Another question, which I recollect, was “ Why would you want to do your MBA from our college?” I was prepared for this one and I replied: ”This college is known for the quality of its faculty, students, alumni, infrastructure, research, extra curricular activities and placement. As student in this college I will get access to some of the best minds in the country, research facilities, a great professional network, brilliant placement opportunities with top companies in the country and above all a life changing experience.” Since I researched the college website and additional news related to the college, I was able to throw in some data when I answered this question. I remember taking the names of some alumni of the college who was in news during that time, the names of the annual events conducted by the college and some of the internship facilities provided in the Campus. The panel was impressed with the data and they asked no further questions in that areas. College research does help. Then there was a very simple and common question, which they asked me-“ Tell me about your weaknesses”. I replied- “ I consider them as the areas of self development for me. My primary area of self- development is to improve my public communications. Though, I am a good in public speaking, I would want to take my presentations to the professional level. For this, I am already working with my mentor in my office and I have also joined the Toastmasters International Club. I have realized that working on my action plan has helped me a lot. I plan to continue improving my communications”. The interviewers nodded and I knew that they appreciated my answer because I did not try to ‘cover up’ my weaknesses by projecting them as strengths. I was honest and I had a plan to work on my weakness. Overall the interview was very satisfying. 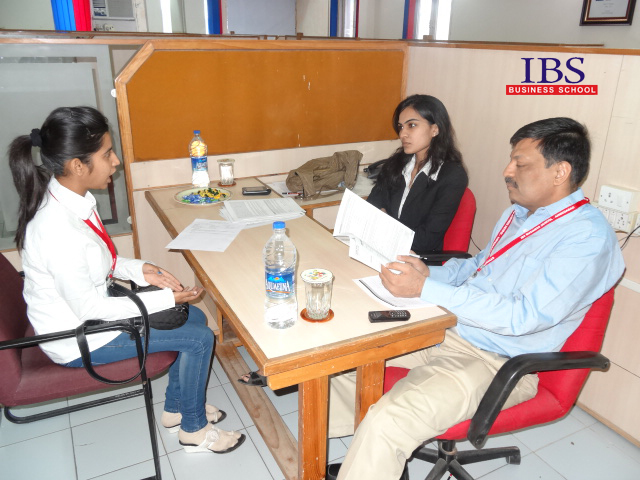 I prepared for it and was glad that I also contributed in steering the interview in the desired directions. The results were out in the evening and I was very glad to see my name on the selection list. I hope my experience is helpful to the candidates who are to face their interviews soon. This entry was posted by Alumni Speak and tagged GD, GD & PI, MBA, PI, Selection Process . Bookmark the permalink.